1. 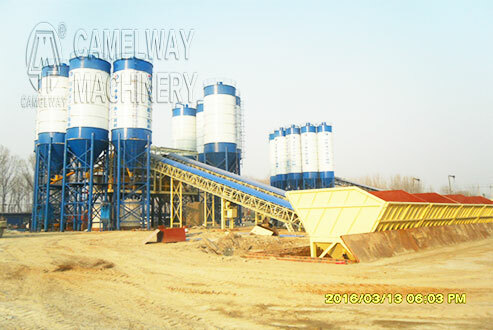 The rated production efficiency of concrete batching plant is same, the only difference is working way; full automatic control system is controlled by the control system, users just need to press the operation button, and the material will automatically fall down to the screw conveyor from the cement silo. Then the materials will be conveyed into the hopper by screw conveyor. The whole productive process is accomplished automatically only by pressing the operation button. It’s very easy to use and suitable for those concrete batching plants that has few staff. 2. But the control system of concrete batching plant is not very simple. It completes works step by step. Such as the concrete mixer is needed to feeding materials, press the feeding button, the material will be conveyed to the weighing hopper automatically. Then press another discharging button, the concrete will be discharged to the mixing drum of concrete mixer. The centralized control system needs more people to participate.